The tenor Jonas Kaufmann, one of the most sought-after singers by the best theatres and concert halls today, stars in Andréa Chenier, in the performances of March 9, 12 and 15. Along with Kaufmann, the cast is completed by first-rate singers such as the baritone Carlos Álvarez and the soprano Sondra Radvanovsky. They bring to life a love story set during the French Revolution, in the context of the unsuccessful struggle for individual freedoms. A story that benefits from a realistic staging on the occasion, according to the verismo that characterizes Umberto Giordano’s creation. This production premiered successfully at the Royal Opera House in Covent Garden (London) in 2015, in collaboration with two other great venues, the San Francisco Opera and the National Centre for the Performing Arts of Beijing. 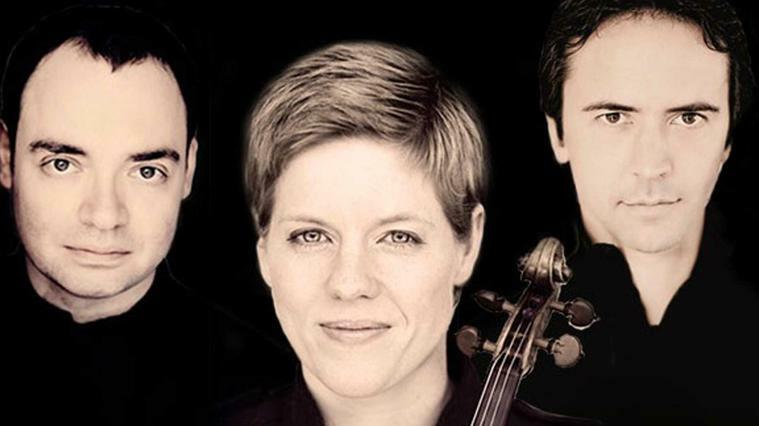 We are incredibly lucky to enjoy the recurring presence of the enfants terrible trio -sometimes, even in two concerts per season- constituted by Isabelle Faust, violin, Jean-Guihen Queyras, cello and Alexander Melnikov, piano. They have performed in different formats, rendering Beethoven sonatas, Schumann trios or concerts for their instrument, like on a memorable evening -in the Palau de la Música- where the audience enjoyed their separate performances, under the direction of Pablo Heras-Casado leading the prestigious Freiburger Barockorkester. The testimony of these valuable interactions has been compiled by one of today’s most interesting and successful record companies (of the new record scene, less active than in the past). One more step in the squaring of the circle -going beyond the trio’s dynamism and the balanced confrontation of opposing forces, in the quartet- the quintet format expands the list of possibilities. Schubert’s quintet with piano known as La trucha -because of the melody of a song by the same composer, contained in one of his movements- is perhaps the best example of ambition and the new horizons that open up, in this case thanks to the inclusion of a keyboard instrument. The well-known trio of friends is joined by Boris Faust, viola, and Laurène Durantel, double bass. The programme is completed with pieces by the Viennese composer, such as the song mentioned above or Sei mir gegrüsst, performed by the baritone Georg Nigl, or two pieces for instruments (violin and piano, on the one hand, and cello and piano, on the other) where the friends interact in pairs, portraying their magical complicity. has a long history, and episodes as memorable as his 1991 concert, with Mozart’s sacred music performed by the English Baroque Soloists and the Monteverdi choir -compiled, by the way, in an audiovisual document of great relevance- or his more recent, and no less magnificent, render of Johannes Brahms’ music in 2007, this time, with the Orquestre revolutionnaire et romantique. If his interpretation of Brahms’ second symphony was amazing (insistent applause between movements, from an audience aware of its exceptional nature) this season -after many successful visits since then, and with a group of impeccable tradition such as the London Symphony Orchestra- the audience can expect a comparable experience in the course of his render of Robert Schumann’s disconcerting and, nevertheless, organic Fourth Symphony. It is certainly not a set of old music, but the rigour and dynamism the master applies to the score will allow the audience to immerse themselves in its intricacies. This piece will be accompanied by others of great substance, such as Hector Berlioz‘s evocative series Les nuits d’été, featuring the mezzo-soprano Ann Hallenberg. A singer with a nuanced and flexible timbre, she’ll evoke the nocturnal airs of preterit summers, perhaps announcing the summer to come, less and less distant. The versatility and rendering clairvoyance of the pianist Andras Schiff is demonstrated in the breadth of the repertoire with which he has triumphed on the main stages around the world, including the Catalan Palau de la Música. It is precisely here, directing the Cappella Andrea Barca, that he’ll offer a fantastic selection of keyboard compositions by Johann Sebastian Bach. Although this type of compositions don’t make the soloist the absolute protagonist, as in romantic concerts, Bach’s inexhaustible creativity fully serves the keyboard to turn it into a centre around which energies converge and, in turn, are spread everywhere, like a kaleidoscope of sound. The Palau’s stage, in this sense, seems particularly favourable for the event. to learn that after composing the music for the Passion according to St. John and the Passion according to St. Matthew, Johann Sebastian Bach also composed a series of musical pieces that represent the crucial episode in the Gospel of St. Mark. After finding the scores of this lost Passion, several musicologists tried to reconstruct the piece to be as similar to the 1744 version as possible, the last version composed by Bach. 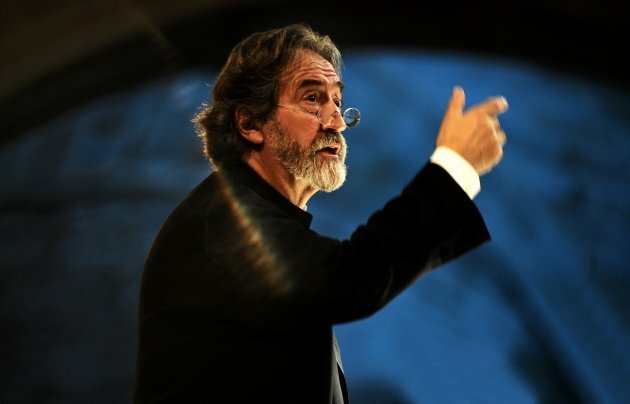 In the large Auditori hall, Mestre Jordi Savall will unfurl the wings of a majestic composition, much less known than its famous precursors, usually interpreted around Easter (Mark Minkowski’s interpretation of the Passion according to Matthew also promises to be very interesting with his ensemble Les Musiciens du Louvre, at the Catalan Palau de la Música a few days later, on March 28). A unique occasion to celebrate and experience Johan Sebastian Bach’s language and spirituality in a piece that’s not very well known. Joana Biarnés did an excellent job as a photojournalist in a time of great changes in Spain, a time when the profession seemed to still be exclusively for men. The title of the exhibition, “A contracorriente” (against the tide), with images from the time when the photographer was working at Pueblo newspaper (from 1963 to 1973), echoes the difficulties she experienced in her artistic and informative work, breaking some of the greyest stereotypes in favour of freedom of communication. Biarnés covered all kinds of society events, from sporting events to accidents, but she also witnessed highly significant events, in many cases related to artistic and popular events. She was in the Beatles’ plane, with whom she chatted for three hours at their hotel, and photographed artists such as Orson Welles, Clint Eastwood or Roman Polanski. Also fascinating are the snapshots she took of other creators, closer to her in a geographical sense, such as Joan Manuel Serrat, Lola Flores or Dalí. The exhibition at the Palau Robert -a selection of 90 black and white photographs- represents an immersion in social photography of an era that, far from remote or foreign, is intimately linked to ours. The modernity of Enrique Granados’ production is proclaimed in the temporary exhibition at the Museu de la Música, a museum located in the privileged setting of L’Auditori. A space that is worth visiting, because it preserves mythical and incredibly historical instruments: from ancient instruments, some of them unique, such as the Hauslaib organ, to the cello used by Pau Casals, with room for popular, contemporary genres and references to artists who are still active, such as the Rolling Stones. In this context, the exhibition “Granados, from Paris to Goya” is responsible for profusely documenting the ancestry of his time in the French capital, accredited by an interesting epistolary exchange, as well as his thoughts on Francisco de Goya’s painting, which he would musically reflect in his well-known Goyescas. The collection of information on Granados gathered at the Museu de la Música -which no wonder has a section devoted to him- makes this exhibition an event worth considering. Unpublished materials are presented with an illustrative narrative, which allows you to enter the world of a prematurely deceased composer, when a submarine torpedoed the passenger ship he was travelling on, during his return to France from the British Isles. but because it hosts works that, were they in more renowned pinacotheca, would surely motivate a visit on their own. Aware of their relevance, the Museo Nacional d’Art de Catalunya has reorganized its collection, enhancing the awareness of their exceptional nature and putting them in context. We are especially referring to paintings dating from the modern age, in which bodies are delineated with a new consciousness, reflecting ancient problems (biblical themes) but also new moral and everyday issues. Sometimes, portraits that seek to depict prominent figures of the time with precision and well-finished features, respecting proportions and extolling the human dimension to that of the gods. These are works created during the Renaissance and Baroque by masters like Lucas Cranach the Elder, author of The ill-matched couple, or Velázquez with his tormented and shocking Saint Paul. With angular features but a similar suffering, accompanied by Saint Peter, the apostle can be observed in a painting by El Greco, of whom at least another intriguing canvas is exposed. Among the main creators of pictorial art who are exhibited at least twice, one is obliged to stop before a stunning portrait by Peter Paulus Rubens, that of Lady Alethea Talbot, Countess of Arundel, as well as before an image of the Virgin with Christ and his cousin John the Baptist, accompanied by Saint Isabel. Other names of maximum relevance, which are now featured accordingly in the reorganization of the MNAC’s exhibition, are Tiépolo, Canaletto, Zurbarán, Tiziano, Fragonard and, of course, Goya, whose works show the pictorial evolution from the period of light to the intuition of the darkest Romanticism. The interest in foreign traditions, especially aimed at millenary cultures, is present in the work of the main creators of the avant-garde, and Miró is no exception. This is how the temporary exhibition, until May 20, should be understood which can be enjoyed at the Fundació Joan Miró, devoted to one of the great masters of traditional Japanese art known asshin hanga. 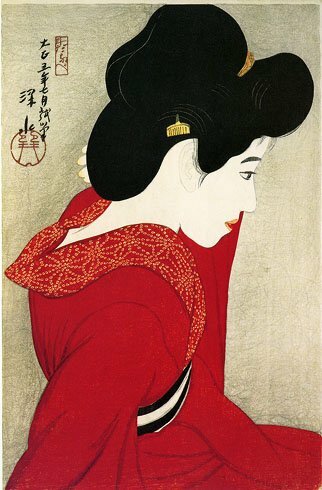 It is Itō Shinsui (1898-1972), whose aesthetics are the perfect proof ofthe bond between Miró’s work and the Japanese thought and art. The reposed forms of objects, a certain tendency to represent the timeless stillness of reality that subtly shows variation, leads in turn to disfigurement, to dispense with the closed form on itself, opting for the stable capture of the futile. This contradiction sublimates artistically, although through different means, both in the work of Itō Shinsui and Joan Miró. 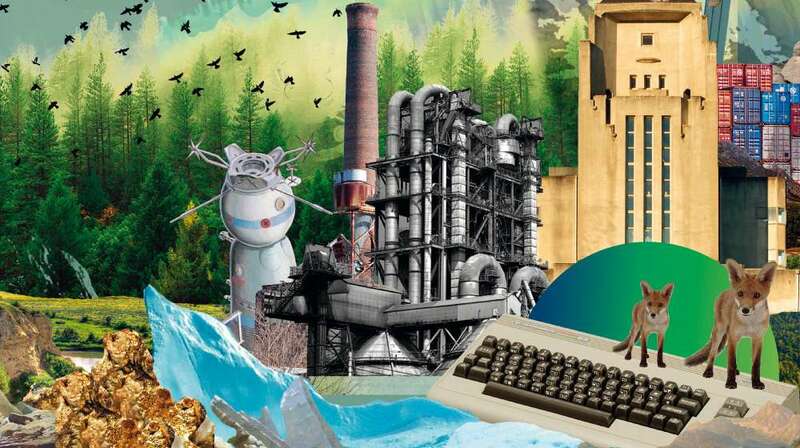 A fundamental exhibition, at the Centro de Cultura Contemporánea de Barcelona (CCCB) until April 29, to understand the future that should begin to be avoided, from the present. The explanation of the event provided by their website can hardly be improved, so we’ve chosen to reproduce it: “Artists, philosophers, mountains of sand, novelists, marine animals, playwrights, plants, architects, objects, speculative designers, polluted rivers, satellites, scientists... work together to imagine scenes, tell stories and build strategies to survive in the world to come. The result is a hypnotic experience, of estrangement, that speaks of the trauma in light of the magnitude of the crisis and the loss of the world as we knew it, but also of the opportunity to change and the urgency of a pact between generations“. Sign up for the newsletter and get cultural events delivered to your inbox. Responsible: The New Barcelona Post (Foment del Treball). Purpose: Manage the sending of newsletters by email with information about upcoming planned activities. Targets: The request will add the data to the MailChimp system, in order to send the newsletters by e-mail to the user. Data retention: Until the user requests its deletion.